Property expert Max Blake helps couples find their first home. 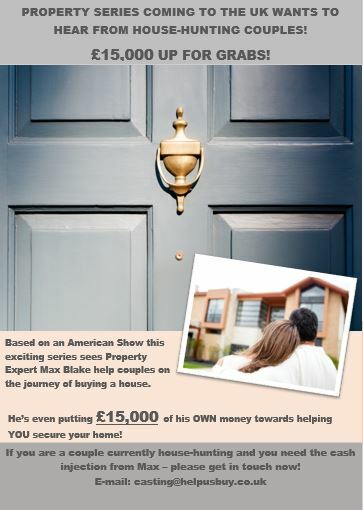 If your a first time buyer and are looking for a house for you and your partner, and if you don’t mind your face being on television as part of show Property Series that is coming to the UK from America . If your struggling financially the producer is willing grant you with 15k from his own pocket, helping you secure your dream home. For further details contact Max Blake as stated on the above flyer.